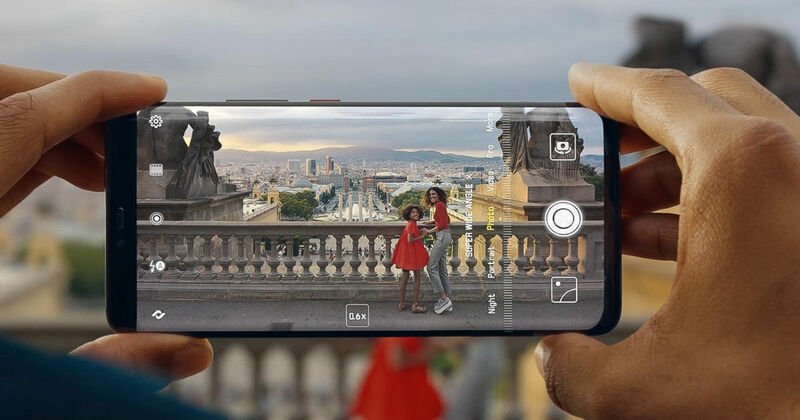 Huawei has just launched its latest smartphone in the country — the Mate 20 Pro. The brand’s latest is arguably the most feature-packed flagship smartphone to date. It’s got everything you can think of and then some. From a three-camera system on the back to an in-display fingerprint and the powerful Kirin 980 chipset under the hood, the handset can give flagships like the Samsung Galaxy Note9 (review) and Apple iPhone XS Max (review) a run for their money. Not convinced? Here are the top features that make Huawei’s Mate 20 Pro worth watching out for. The Huawei Mate 20 Pro comes with a unique square-shaped camera unit, which houses sensors of three different focal lengths. There’s a 20-megapixel camera for super wide shots, a 40-megapixel shooter with a conventional wide-angle lens, and one 8-megapixel telephoto shooter. Then there’s the adaptive dual-tone flash unit that completes the array. The impressive long-exposure Night Mode from the P20 Pro (review) also makes a return along with a group of other aperture-shifting options. Huawei’s first chipset to use the 7nm architecture, the Kirin 980 is a beast on paper and allows for better performance and efficiency compared to Qualcomm’s top-tier processor, Snapdragon 845. On the Mate 20 Pro, the SoC is coupled with 6GB of RAM and 128GB storage onboard. According to Huawei, the hardware offers up to 20 percent speed improvement across the device, with a 45 percent boost in graphics and 40 percent better efficiency. Then there’s also the dual neural engines, which enhances the camera’s AI capabilities including real-time video processing and object recognition. With a 6.39-inch QHD+ OLED display, the Huawei Mate 20 Pro is absolutely stunning to look at. Then there’s the all-glass design and a new ridged finish called Hyper Optical Pattern, which makes handset’s rear less prone to fingerprints and easier to grip. The flagship is IP68 certified for dust- and water resistance and comes in multiple colour options ranging from black to midnight blue. The Mate 20 Pro comes with a 3D Face Unlock feature similar to the iPhone X (review), which the company claims, is advanced enough to not get fooled by a picture of you. The 24MP front camera works alongside a dot projector, a TOF proximity sensor, a flood illuminator, and an IR camera to enable the Face Unlock. But unlike the Cupertino giant, Huawei is giving you the ability to authenticate yourself by your digits as well, thanks to an in-display fingerprint reader. Powering the Mate 20 Pro is a 4,200mAh battery which not only supports fast charging, but also fast wireless charging (reportedly twice as fast as iPhone XS Max). However, that’s not all. Huawei has even built a piece of future tech into the smartphone that allows for reverse wireless charging to Qi-compatible devices. You can charge wireless gadgets by placing them on the back of the flagship. Now, isn’t that cool? The Huawei Mate 20 Pro has been priced at Rs 69,990 and will go on sale starting December 3rd for Amazon Prime members and a day after for everyone. Making the deal even sweeter, Huawei is bundling Sennheiser headphones worth Rs 21,990 with a special package that will set you back by Rs 71,990. The newest launch from the brand is the sign of things to come as the Chinese giant has teased a slew of products that it’ll be launching in the coming months in the subcontinent.